As books and relics are consumed by the flames, you must make a choice over what to save - some artifacts are more valuable to you than others, and your fellow heroes may have different priorities than you - and some may even be trying to burn books! 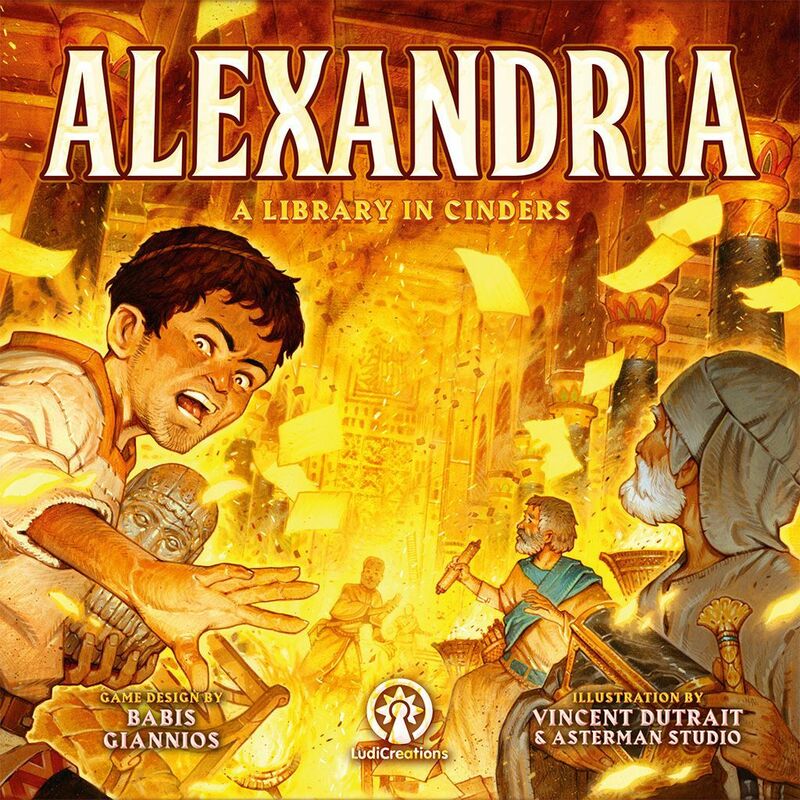 In Alexandria, 2-4 players must use a limited supply of time to move through the burning corridors of the Great Library, looking for scrolls, items and even scholars that they can save. Each round, up to four rooms of the library will surrender to the flames, and anything in them will be lost!